Festival attendees browse free books at the book fair. First and foremost, our festival is a free, public event. Our mission includes increasing access to the arts, and that means removing one common barrier: fees. How are we able to do this? Our dedicated volunteers are active writers, university students and faculty with a wealth of experience and connections to the writing community. Some of the costs of festival have been generously funded by the Associated Students of SDSU and the Student Success Fee. And, yes, lunch is free, too! Poet Angela Aguirre of Chingona Fire reads from her book, “Confessions of a Firework” at the 2017 Literary Festival. 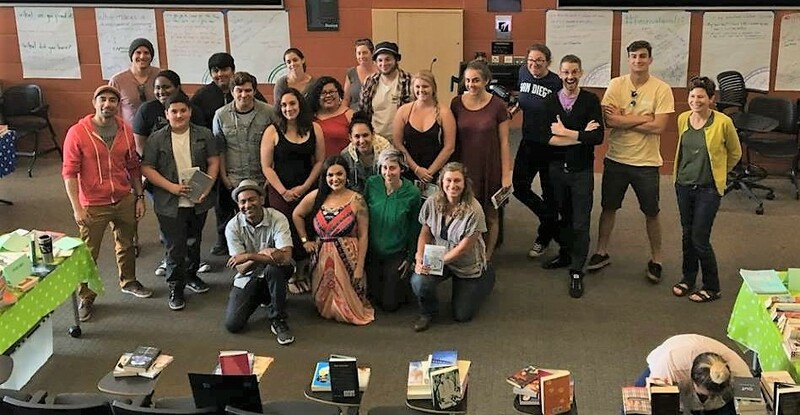 Last year, festival participants got to learn from and write with poets in small, workshop-sized classes, offering many opportunities to share their work directly with published writers. in 2017, spoken word poet Shannon Linzer helped young poets stretch the boundaries of their imaginations, the women of Chingona Fire challenged all of us to be brave and genuine, and Kevin Cullen showed us how to capture our stories in comics. This year, we’re welcoming Karla Cordero and Gill Sotu to guide us as we write, explore, and perform together. 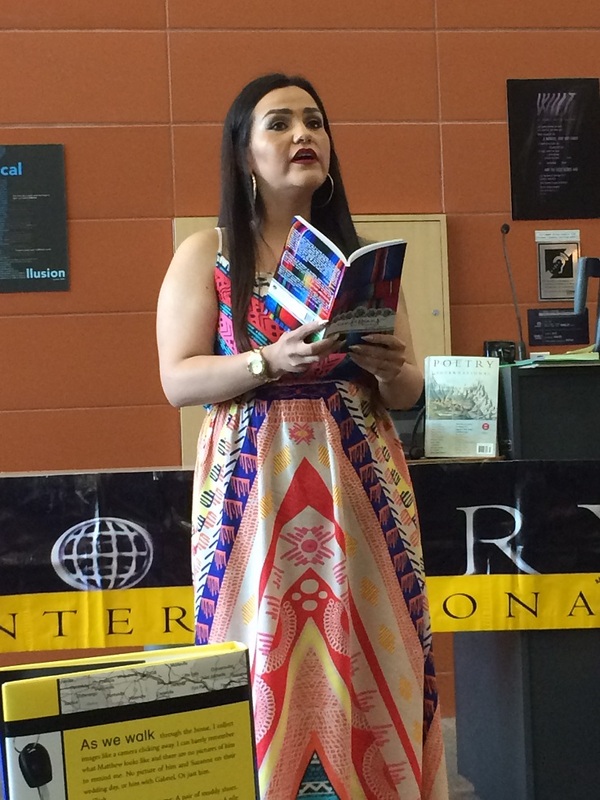 Each year, the Literary Festival culminates in an anthology of the writing participants produce in the workshops. These anthologies are yours to take home for free. Whether you’re a high school student, an editor-in-chief, or an interested community member, your work will be published in this single snapshot of the creative work sparked at the festival. 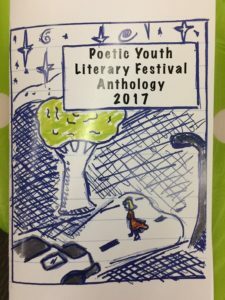 The cover of the 2017 Festival Anthology features comic art by one of the festival participants. 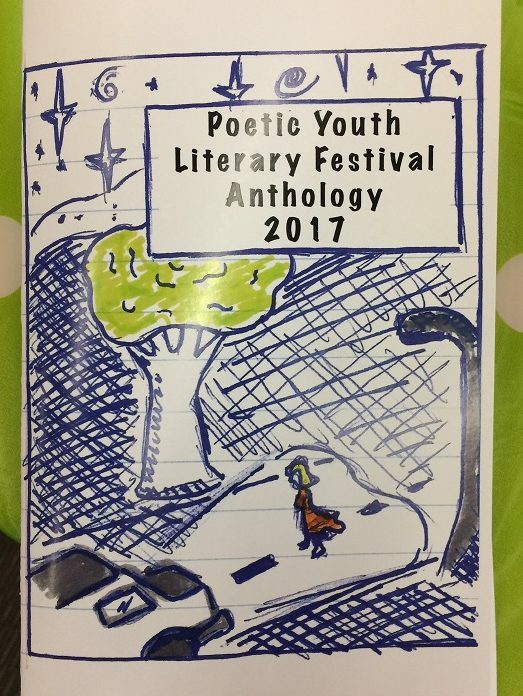 At the Poetic Youth Literary Festival, high school students get a chance to share the stage with prominent spoken word performers and published poets. Every participant is welcome (and encouraged!) to read their writing at the end of the festival for the whole community of festival participants, artists, and volunteers. 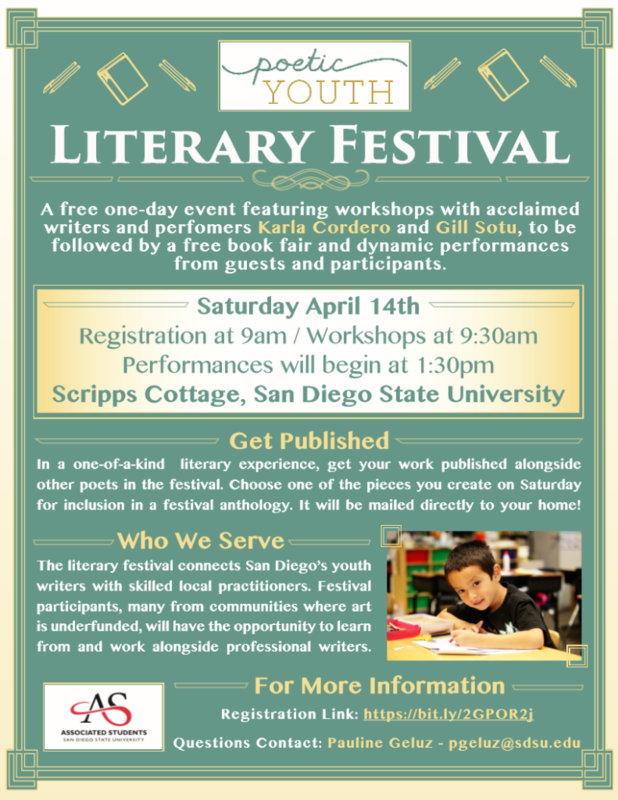 San Diego is rich with diverse stories, and we can’t wait to hear yours on April 14. The book fair puts books into kids’ hands. 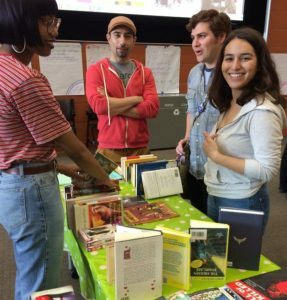 Last year, our community supported this goal beautifully with boxes and boxes of donated novels, comics, memoirs, sci-fi, biographies, poetry, and every other genre imaginable. Participants are welcome to take home as many books as they want for free. Interested in donating some books for this year’s book fair? Contact us, and we’ll hook you up with a volunteer. What are you waiting for? Click here to register for this year’s festival! Feel free to download, print, and share the flyer with your friends, family, and community. Check out our Facebook page or contact us for more information. We can’t wait to see you there!